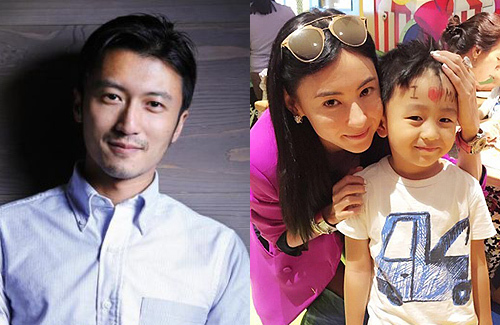 Since their divorce in August 2011, Nicholas Tse (謝霆鋒) and Cecilia Cheung (張栢芝) have become estranged and have barely been in each other’s company. However, due to their son Quintus’ hospitalization, the pair were briefly reunited and set aside their tension. Quintus was hospitalization after suffering from a bacterial infection and high fever. Last week, when Nicholas went to visit Quintus in the hospital, he accidentally bumped into Cecilia, who had remained by the five-year-old’s side for most of his hospital stay and was taking a break in the reception area. Cecilia and Nicholas then reportedly spent about half an hour together in the reception area. Despite the brief reunion, Nicholas and Cecilia have truly gone their separate ways. Nicholas is not only busy hosting his food-themed variety program, Chef Nic <12道鋒味>, but is also in a relationship with old flame Faye Wong (王菲). As for Cecilia, she is busy with looking after Quintus and Lucas, and is also returning to the big screen. When issues concerning their sons crop up, Nicholas and Cecilia will act on the boys’ best interests.Two weeks ago, the pair released a joint statement to rebut the media’s allegations that their eight-year-old son Lucas had been expelled from school. News of Quintus’ hospitalization was revealed when Peter Cheung‘s (張崇德) wife Eugina Lau (劉美娟) posted a photograph of Quintus in a hospital gown on social media. Quintus held a “Get Well Soon” card made by Peter and Eugina’s two children. Peter explained why Quintus had not yet been discharged despite having recovered from his fever. He said, “Kids can easily re-contract another fever soon after recovering from one…it’s safer to keep him under the doctor’s observation for now.” Peter was however unsure why Quintus was ill. He said believed that it was probably due to a bacterial infection.